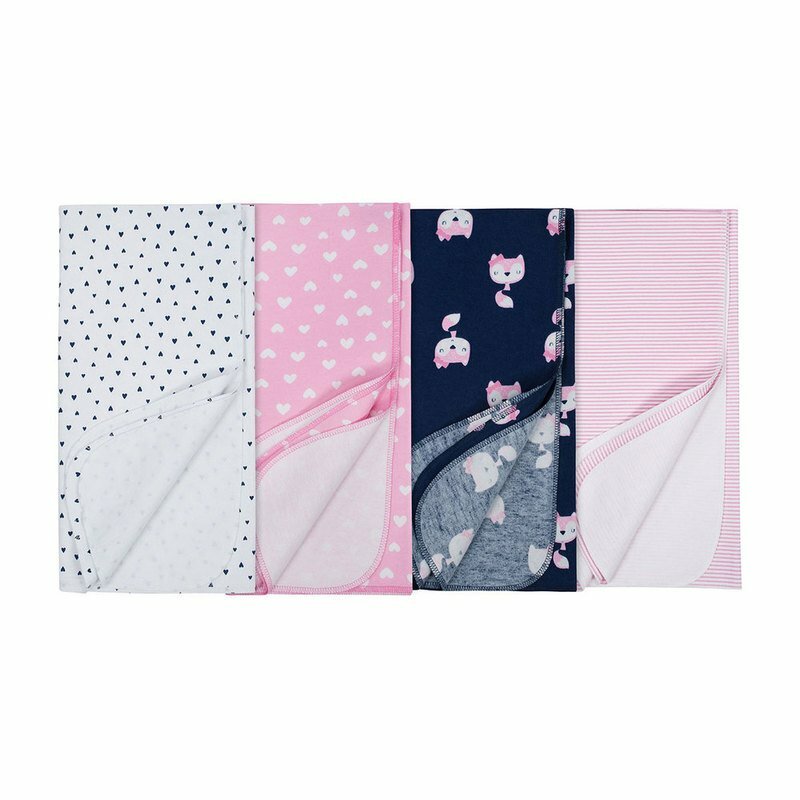 This 4-pack of girls' flannel blankets is an ideal choice whenever you need to add a layer of warmth! The 100% cotton flannel is brushed for added softness. Wrap her up in cozy comfort anytime there's a chill in the air. This collection features a variety of themed prints and coordinated colors that your little one will enjoy. The handy 30" x 30" size provides ample coverage while she's sitting in the stroller or car seat. These blankets can also be used in a pinch as a burpcloth or as a clean place to lay baby for diaper changes while you're out. Keep one or two in your travel bag so you're ready for the unexpected when you're traveling. These items are easy to machine wash and dry, saving mom time on laundry day. Stock up on your favorite patterns and colors today!